A1 Potting Shed & Store: The A1 Potting Shed & Store is a top quality combined building which is ideal for potting up and growing your new seeds or to protect your more delicate plants from harsh weather over the winter. The stable style door allows for ventilation which is important for plants, and the end window opens and closes to you can control the internal temperature effectively. The horticultural glazing will keep the heat in whilst staying clear to provide good sunlight. 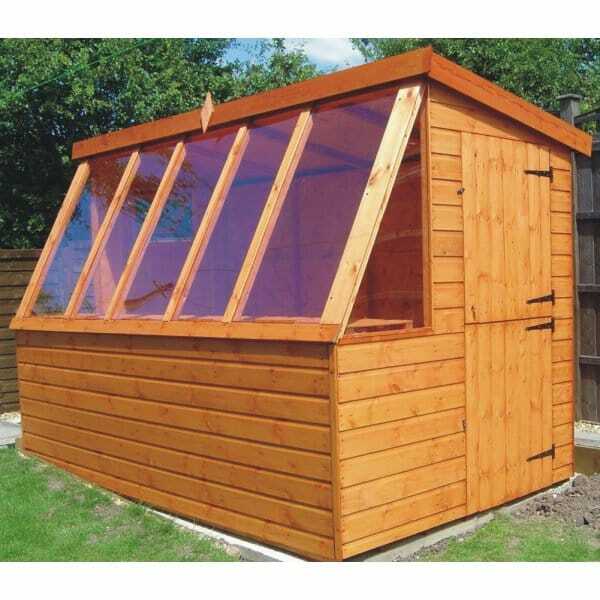 This potting shed is available in different sizes to suit the size of your garden and your personal gardening needs, so if you're a beginner or long term gardener, this potting store/shed in any size will be ideal.